10th birthday special edition Babipur Pop-in Nappy. A herd of rainbow elephants on a seaside stripe background. 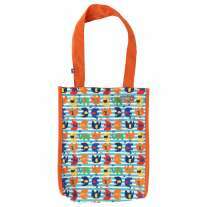 Super fun and colourful print to celebrate Babipur's 10th birthday. 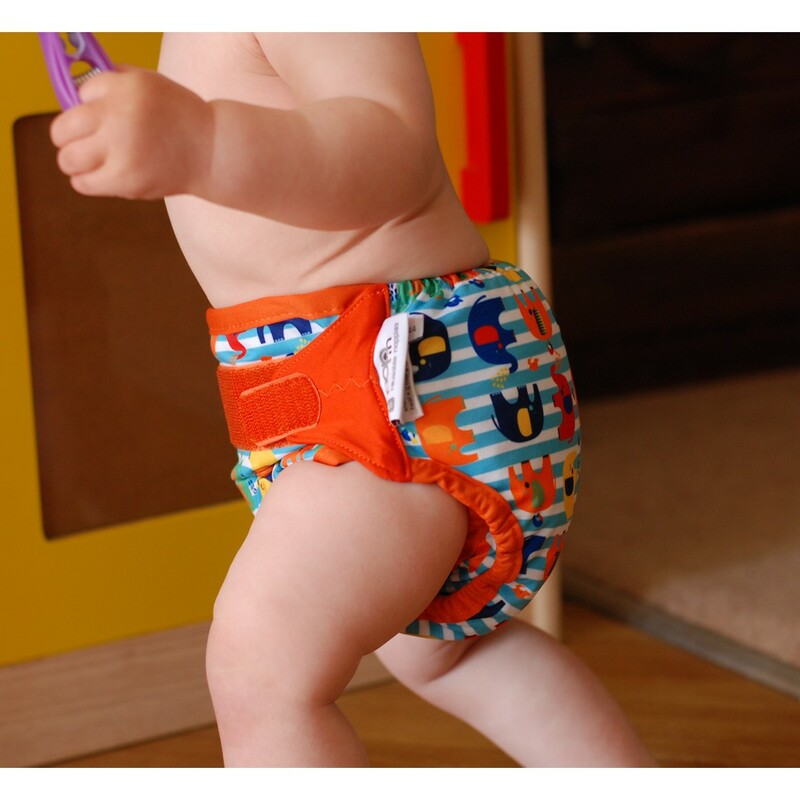 Beautifully soft colour matched bamboo inners offer the best performance and absorbency for cloth nappies. 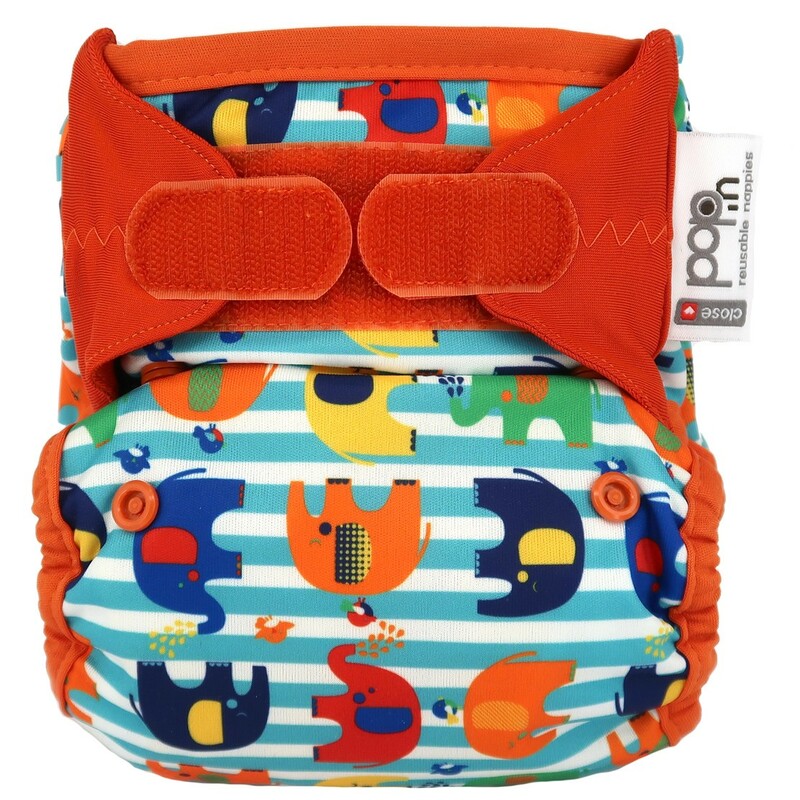 Each Pop-in +bamboo nappy has a soaker and booster inner fabric which popper into place inside the soft breathable waterproof cover. 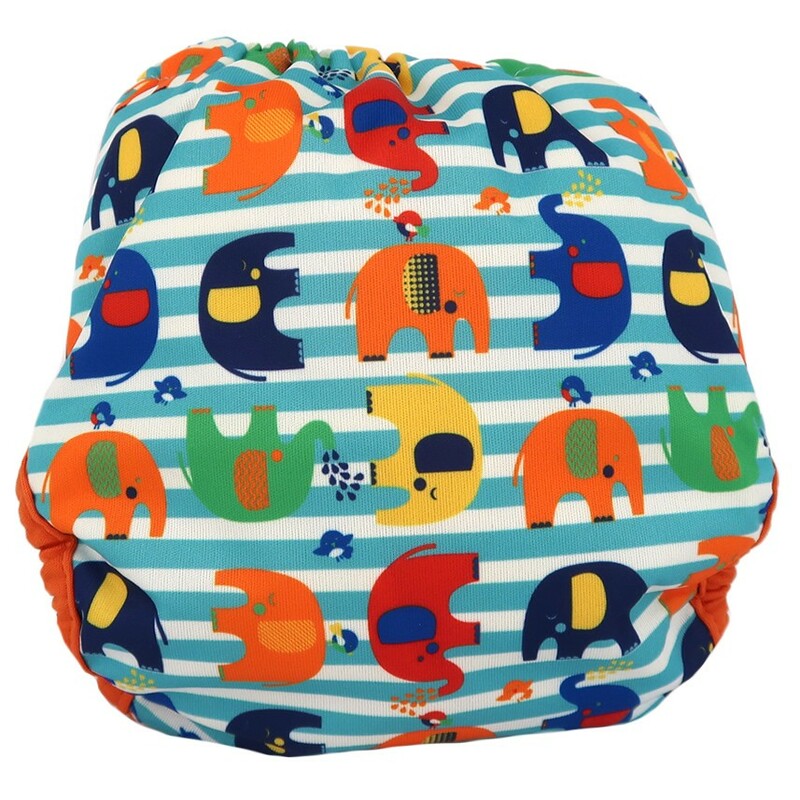 Sizing poppers on the front allow the nappy to fit babies from birth to potty (7-35lbs). 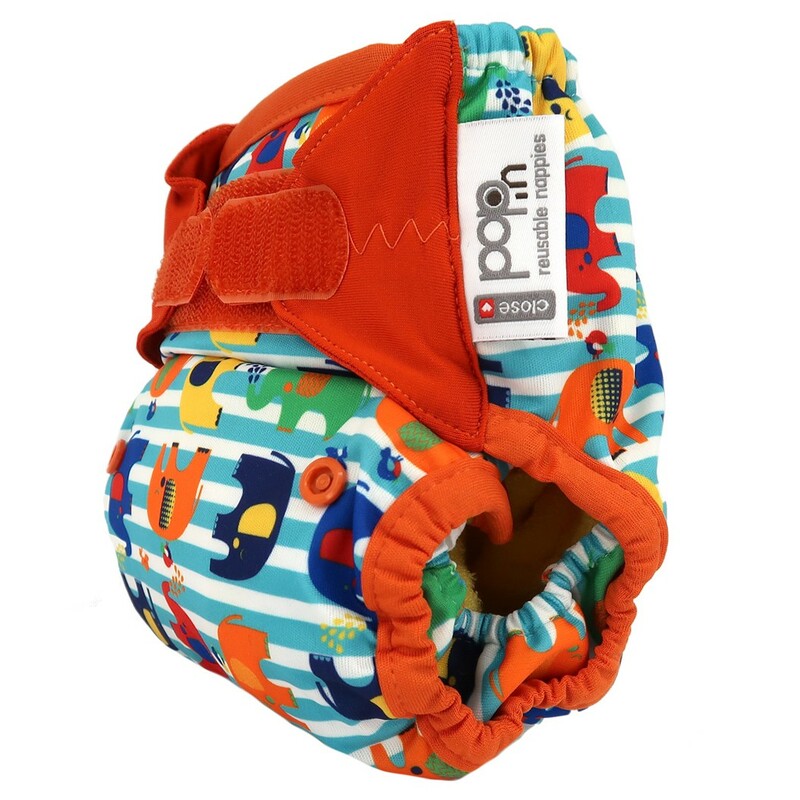 Pop-in New Gen V2 - This latest version of the nappy has a number of subtle improvements over previous versions. The laundry tab is now concealed so it doesn't touch baby's skin and simply pulls out for washing. The elastic at the back of the soaker has been removed to speed up drying time and the back poppers have been replaced with tab poppers for improved comfort. Small changes have also been made to the elastic and all round sizing give a soft and more flexible fit. Due to the change of poppers, soakers and boosters are not compatible with previous versions of the Pop-in nappy.